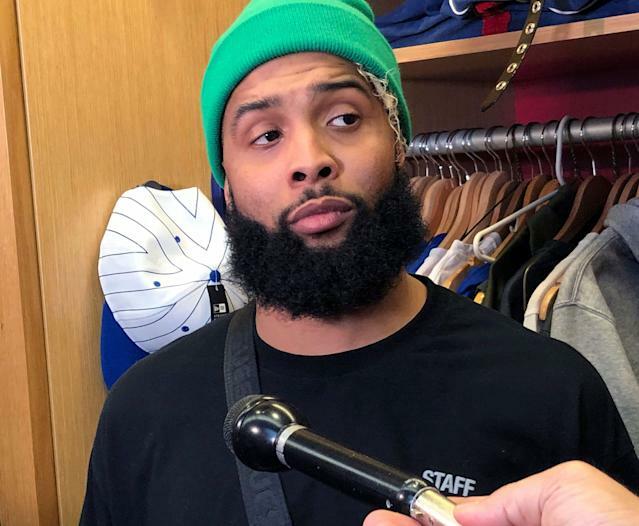 INDIANAPOLIS - If the New York Giants are lying about their intentions for wideout Odell Beckham Jr., at least they’re being consistent. For the second time in roughly one calendar year, Giants general manager Dave Gettleman strongly insinuated that he’s not interested in trading his star wide receiver. This despite a roller-coaster relationship with Beckham before and after he signed a five-year, $90 million extension last offseason. There were two ways you could take the moment, depending on what you believe about the Giants and Beckham’s sometimes-strained relationship with the team. On one hand, you could take Gettleman at his word and point out that he has been consistent with the message since last offseason, suggesting strongly that he’s not interested in dealing Beckham. 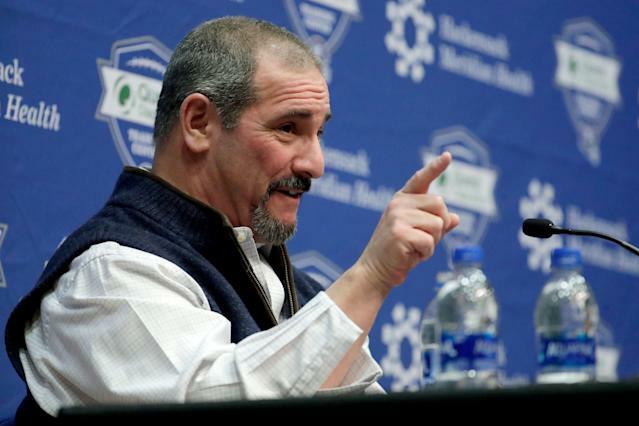 On the other hand, you could be a skeptic and assume that Gettleman knew a litany of probing questions were coming about the subject, so he headed them off by denouncing a Beckham trade off the bat and then punctuating it with a “that’s all I need to say” to make certain he wouldn’t be pressed for some kind of statement that included an absolute. Unfortunately, this is the game that gets played in the NFL. Even when teams don’t necessarily want to deal a player, seasoned personnel men like Gettleman aren’t going to completely paint themselves into a corner, either. And that leaves open the possibility of a deal — not to mention some poking around between the lines of statements from team leaders. All of which can make some things sound like a dog whistle. Like when Giants head coach Pat Shurmur said Wednesday of quarterback Eli Manning: “He’s back.” And Beckham? “I’m looking forward to having him back,” Shurmur said. Once again, there’s wiggle room in that language. You can look forward to something that may or may not happen. At this point, we should be getting the drift. The Giants appear to want Beckham back. They don’t appear interested in trading him. But hey, it’s also the NFL and it’s a long offseason. Anything can happen. Particularly when it’s early in a process of a roster evaluation that could eventually change minds. Maybe the better indicator of Beckham’s future comes from other teams. After all, you have to find a team willing to take on his massive deal and surrender significant assets to acquire him. That’s a tall order, even in an NFL that has multiple wide-receiver-needy teams awash in salary-cap space. His point? Something would need to be discounted. Either Beckham comes more cheaply in trade assets for his talent level, or his salary becomes less expensive. And neither of those factors is likely to change anytime soon.